EXCLUSIVE! 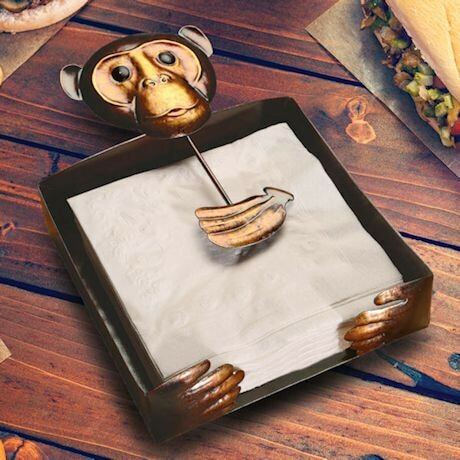 The napkin holder that delivers as much charming personality as smart function. A grinning chimp face is sculpted and painted for dimensional detail, while a tiny bunch of bananas hold your standard-sized paper napkins secure. A delightful addition to a patio table or sun room snack space, made of well-finished iron. 11" x 7½" x 2".